Christmas is here and if you think you might need to send out Christmas cards this year, and you happen to be a geek get your credit card ready. Artist P.J. McQuade is selling some very cool Christmas cards over on Etsy. 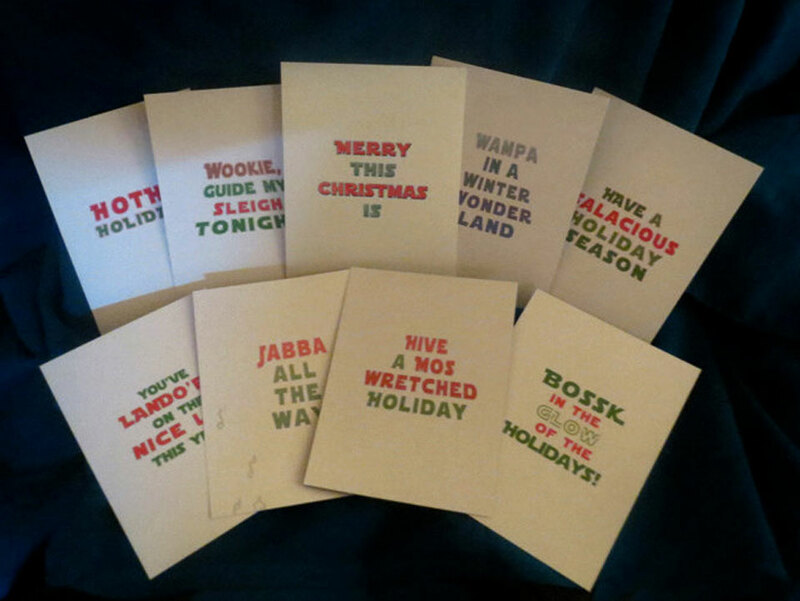 These cards feature some of the most popular and famous scenes from the Star Wars films, updated for the holidays. 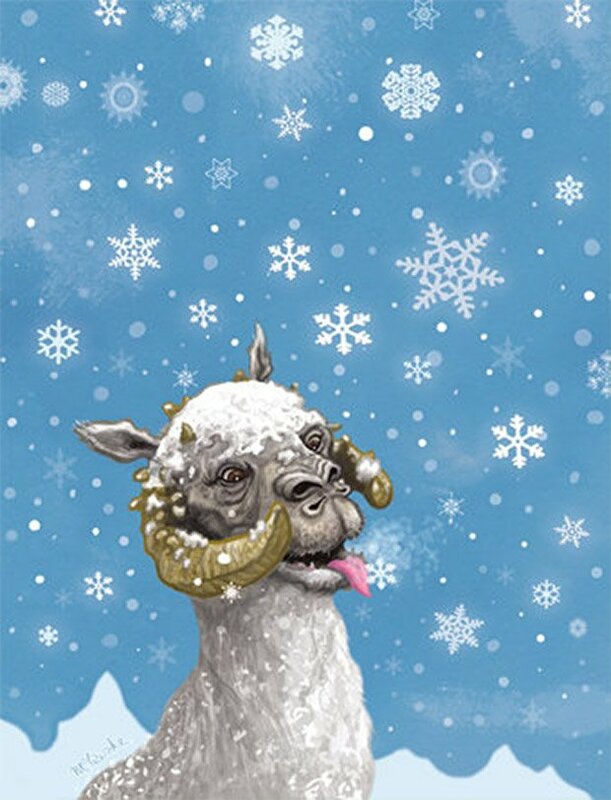 The cards show representations of famous Star Wars characters in holiday guise. 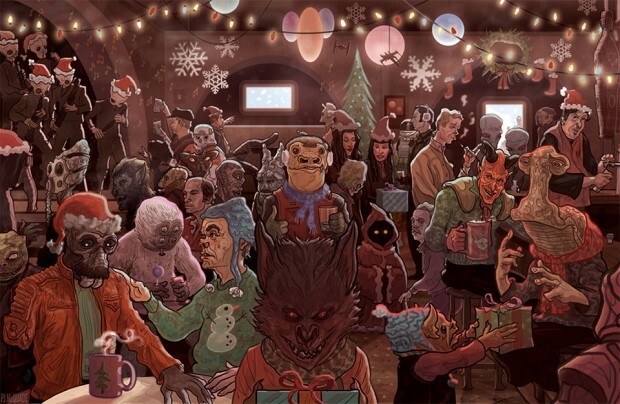 I particularly like Chewie with the reindeer horns on his head. 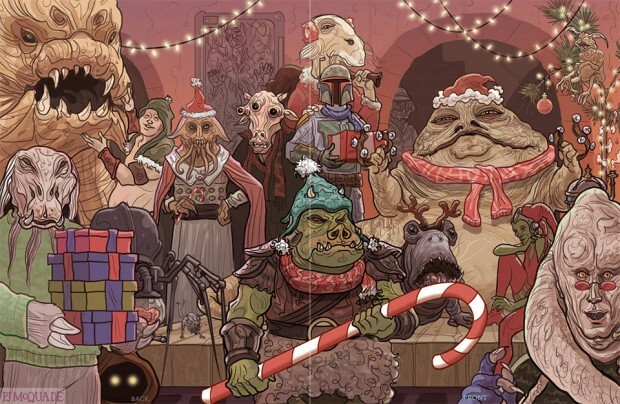 I also like the slave Leia card and the Yoda card. Really, I like them all. There is even a card with Mos Eisley celebrating Christmas and the Jabba the Hutt decked out in his Santa hat. 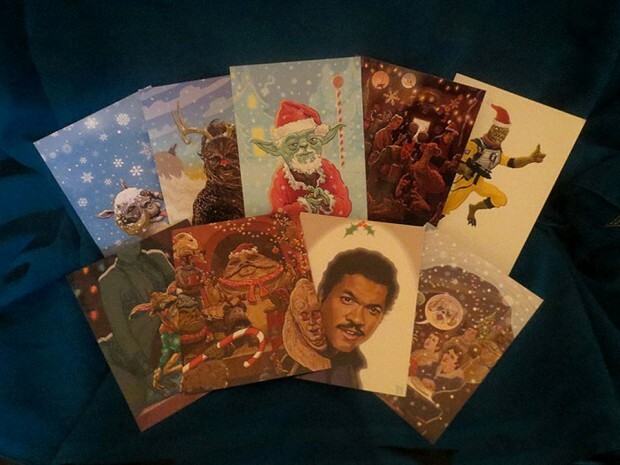 These cards can be purchased for $5 each and in packages with multiple cards of one type or mixed sets with all different cards. 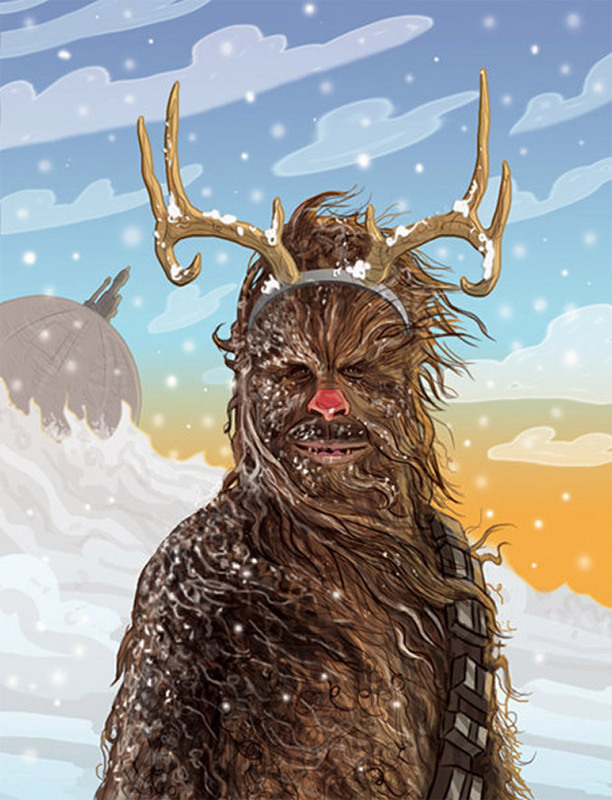 These will certainly be the coolest cards anyone you know gets for Christmas.